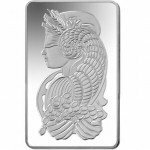 Many of the world’s greatest silver bullion coins bear images of famous figures from human history, stunning natural environments, or memorable flora and fauna. 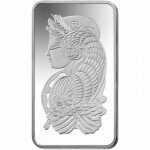 While many silver bars bear rather plain designs, PAMP Suisse’s Fortuna silver bars include imagery of a Roman goddess and stand out in the crowd compared to many other precious metal products. 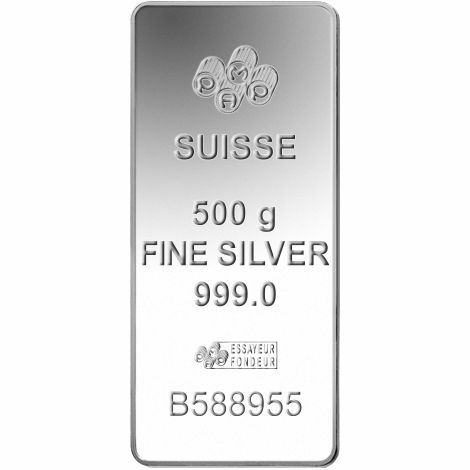 Today, you can purchase a new 500 Gram PAMP Suisse Fortuna Silver Bar from Silver.com. Contains 500 grams of .999 pure silver. In Roman mythology, Fortuna was the goddess of fortune and a personification of luck in the Roman religion. It is said that she could bring good luck or bad, and is often depicted veiled or blindfolded altogether. 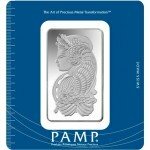 PAMP Suisse, also known as Produits Artistiques Metaux Precieux, is considered the world’s leading bullion brand and operates one of the finest facilities on the planet. 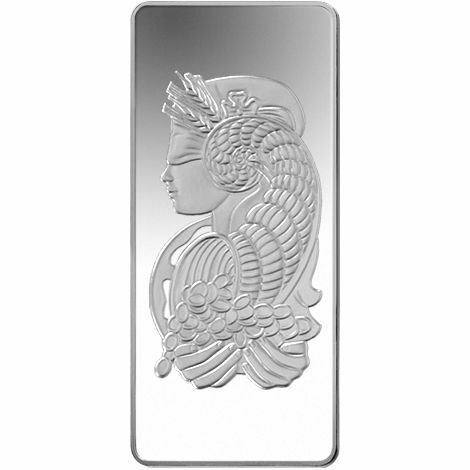 On one side of the 500 Gram PAMP Suisse Fortuna Silver Bar is the image of the Roman goddess. Fortuna is featured in a left-profile portrait with her eyes blindfolded. On her head is a cornucopia which flows down to her cupped hands. In her hands, vast wealth overflows the cornucopia and is captured by the goddess. The opposite side of the silver bar bears numerous engravings identifying the refinery and content of the bar. Engravings on this side include the corporate logo for the refinery at the top, which is depicted with each letter in PAMP featured inside its own circular tube image. SUISSE is engraved immediately below that, followed by the weight, metal content, purity, individual serial number of the bar, and assayer’s mark. PAMP Suisse was established in Ticino, Switzerland in 1977. Over the course of its history, its state-of-the-art precious metals refinery and fabrication facility has become the finest in the world. Today, the company partners with the MKS Group of Geneva, Switzerland to form one of the largest precious metals and financial services firms in the world. Combined, the company has 50 years of experience in investing and precious metal refining. 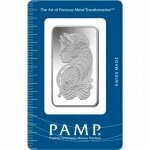 If you have any questions about the 500 Gram PAMP Suisse Fortuna Silver bar, other Silver.com products, or the online purchasing process, simply call our associates at 888-989-7223. You can also contact us online using our live web chat feature.